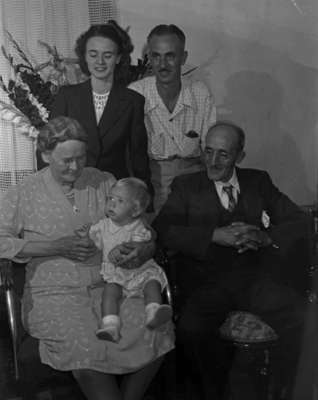 A black and white photograph showing four generations of the Harding family. Harding Family (Image 1 of 2, 1947, Marjorie Ruddy. Whitby Archives A2013_040_1069.